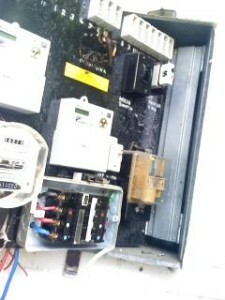 Some before and after photos of an old switchboard with porcelain fuses and 1 safety switch protecting the whole house! We installed a 30 pole board and safety switches on each individual circuit, giving greater protection and eliminating nuisance tripping. We also installed new main switches and meter isolation links, to improve isolation and safety. Basically the whole board up to standard for under $2000 and that was a big board, this is the sort of thing that Master Electricians “operation safety switch” is promoting. An average family switchboard at home could have the same treatment for under $900. 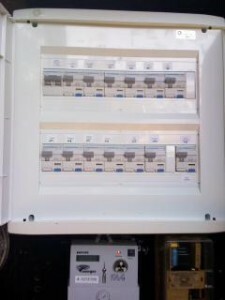 Call us for a quote on updating and upgrading your switchboard at home.